The Mercury Dime is 90% Silver and has been around for a very long time. It was minted between 1916 to 1945, to be exact. 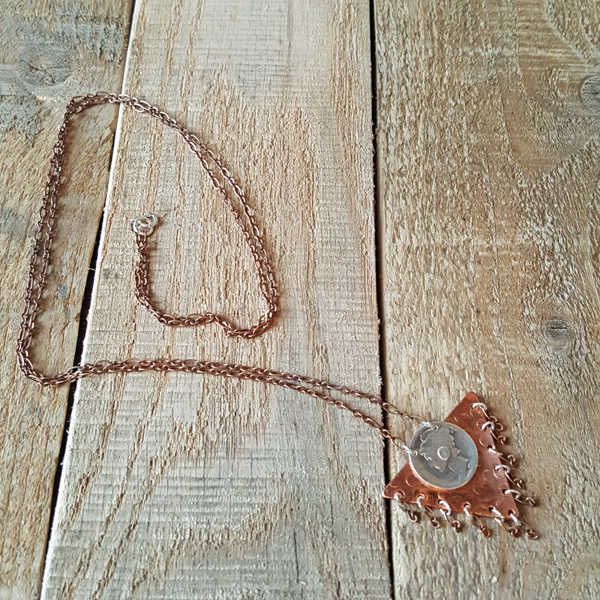 We have given it a modern feel while still maintaining it’s beauty as an antique with this new necklace. 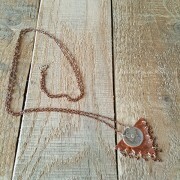 This coin is rivited to a hand formed and textured triangle and has copper chain and copper chain fringe. 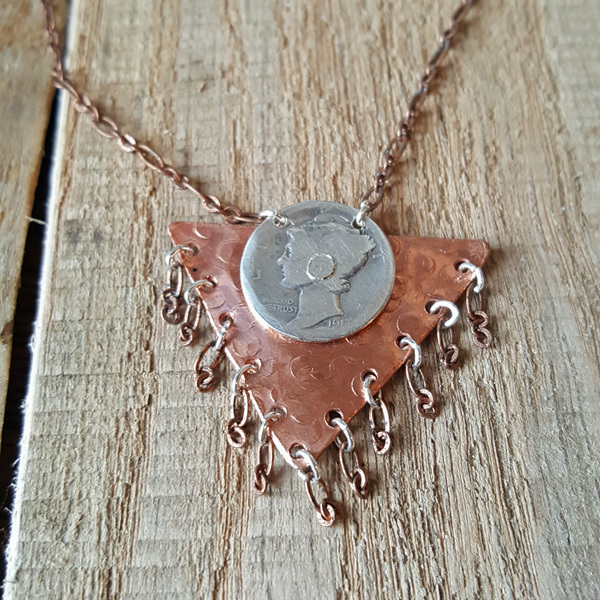 Sterling Silver accents. 32 inches in length.